HackerRank's Tests and CodePair integrate with Greenhouse to enable a seamless and efficient Candidate screening process for recruiters. This article provides useful troubleshooting tips for some common issues encountered while enabling and using the integration. I am unable to view the API keys in my HackerRank for Work account. You must log in to HackerRank for Work with a Recruiter type Company Admin user account to view the API access page and generate the Greenhouse API key. Refer to the Prerequisites section in the Greenhouse - HackerRank Tests integration topic. I am unable to access or send HackerRank Tests from Greenhouse. What could be the issue? 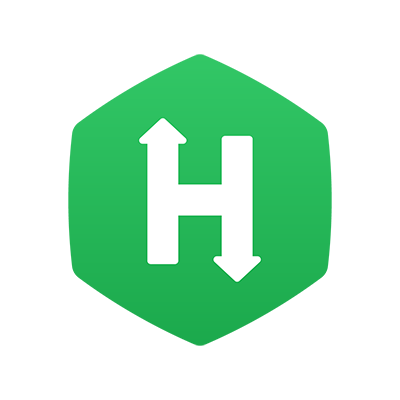 Your HackerRank for Work and Greenhouse applications, each must have a user account with the same email address. This is the primary requirement for the HackerRank - Greenhouse integration to function correctly. For example: In HackerRank for Work, if your user account has the email address as jackpeters@hackerrank.com, you must have a Greenhouse user account with the same email address. Generate the API key required to enable the integration in Greenhouse. Create and publish HackerRank Tests which are required to invite Candidates from Greenhouse. Create email invite templates for sending Test invites from Greenhouse. Alternatively, you can also use the HackerRank Tests and email templates shared with this user account to invite Candidates from Greenhouse. Access HackerRank Tests and to invite Candidates. Log in to CodePair and conduct interviews with Greenhouse Candidates. What are the other troubleshooting tips for any issues encountered with the integration? Verify whether the API key added in your Greenhouse account is valid for your HackerRank for Work account. If you're unsure, you can generate a new Greenhouse API key in the HackerRank account settings page and configure the new key in Greenhouse. Ensure that your HackerRank for Work user account is an activated Recruiter type account with Company Admin permissions. This user account must belong to any team. You cannot send Test invites using a Developer type user account. While sending Test invites from Greenhouse, ensure that the Candidate profile has a valid email address. Note: Refer to the Teams Management section of our knowledgebase for more information about Company Admin privileges and activation of the user account. Seems like the Greenhouse API key is not valid for my HackerRank for Work account. How can I reset the API key? Log in to HackerRank for Work using the company admin user account which has the same email address as the Greenhouse user account. Navigate to Settings -> API access -> Greenhouse. Click Delete to delete the existing key and click Generate API key to create a new key. Add this API key in Greenhouse to enable the integration. Refer to the Greenhouse - HackerRank Tests integration topic for detailed integration steps. Why do I receive an error message while trying to generate a CodePair link in Greenhouse? Ensure that you've logged in to Greenhouse using the same email address as your HackerRank for Work user account. This is required for generating the CodePair interview link and logging in to a CodePair session. The Candidate's profile may not have a valid email address. Update the Candidate's email address and try generating the CodePair link again. In Greenhouse, which HackerRank Tests and email templates are available to invite Candidates? All the Tests and email templates owned by the user who generated the Greenhouse API key is available in Greenhouse. You can also access those Tests and templates which are shared with this user account. For example: If you've generated the Greenhouse API key using the Jackpeters@hackerrank.com account, you must create the required Tests and email templates by logging in to HackerRank for Work as the same user. Alternatively, you can also use Tests and email templates shared with this user account. In Greenhouse, I see an error message prompting to publish the selected Test before inviting Candidates. What does it mean? You can invite Candidates only to published HackerRank Tests. You must log in to HackerRank for Work and publish the chosen Test before inviting Candidates. Refer to the Draft mode of a Test topic for information about publishing a Test. Can the email invite template include name placeholders? Yes. While creating an email template in HackerRank for Work, you can add the "Candidate name" and "Recruiter name" placeholders in an email invite message. Refer to the Creating an email Template topic for detailed information. Who is treated as the Inviting Recruiter if I invite a candidate through Greenhouse? Greenhouse sends us metadata about the recruiter who initiated the action to invite a candidate. That information is used to determine the inviting recruiter. After the Test result is initially synched if I change score in HackerRank, will it be synched back to Greenhouse? The updated scores are not reflected in Greenhouse. Where can I find the Candidate's completed record in HackerRank for Work? Log in to HackerRank for Work and in the "Search Candidate" field available in the top-right corner, enter the Candidate's email address to view the Candidate's attempts. Alternatively, from the HackerRank for Work home page, select the required Test, and click the Candidates tab to view the Candidate's list. Click on a Candidate's record to view the complete Test performance report. Refer to the topics in the Test Reports section of our knowledgebase for detailed information. I am invited to grade a Test through Greenhouse, but, in HackerRank for Work, I don't have the permission. In HackerRank for Work, ensure that your user account belongs to the Test owner's team. Alternatively, you can request the Test owner to share the Test with your account. For File Upload Type Questions, is the Candidate's submitted file available in Greenhouse? You must log in to HackerRank for Work and access the Candidate's detailed Test report to view the uploaded file.